The file photo shows a camp for internally displaced people in Nyala, the capital of South Darfur. One hundred people, including Chadian soldiers, have been killed in tribal clashes in the Darfur region of western Sudan. 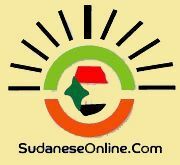 On November 13, Sudanese Defense Minister Abdelrahim Mohammed Hussein said tribal violence in Darfur has eclipsed rebel activity as the main security threat in the region.